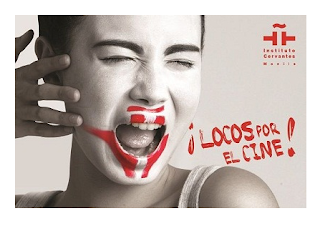 The Spanish Film Festival 2013 or simply called Pelicula is just around the corner! The best of the current Spanish cinema will be shown from Oct 3 - 13, 2013 at Greenbelt 3, Cinema 1. This is brought to you by Instituto Cervantes Manila, the leading Spanish language center in the Philippines directly affiliated with the Embassy of the Spain. Unlike major film festivals in Manila which is free entrance, the Spanish Film Festival is not but the fee is at least 50% off If I am not mistaken. But anyway this is I guarantee, the movies cost so much more than what you paid for because these are award - winning and handpicked among the best. If you want to check the synopsis of the movies please visit the Instituto Cervantes Manila website here. You may check Instituto Cervantes Manila's Facebook Fan Page here for more details. Watched Extraterrestrio yesterday on dvd copy.. So I checked from the cervantes website and all the films to be shown are on dvd except for some on dcp. It's unfair--to think the festival is not free admission--different from the previous years when it's 4:3 or widescreen. I'd rather download the movies and watch at home.